Do you ever feel like you must be going insane because it seems like you’re the only sane one in a messed up world of lunatics? I know modern-day politics drives me to this point many times over. 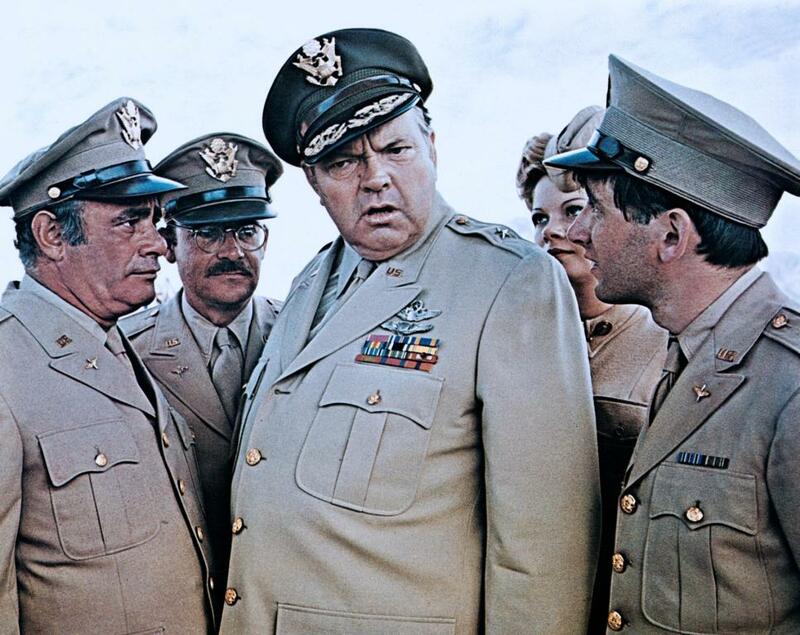 Mike Nichol’s CATCH-22 (1970) takes on this premise in the darkest of comedies. 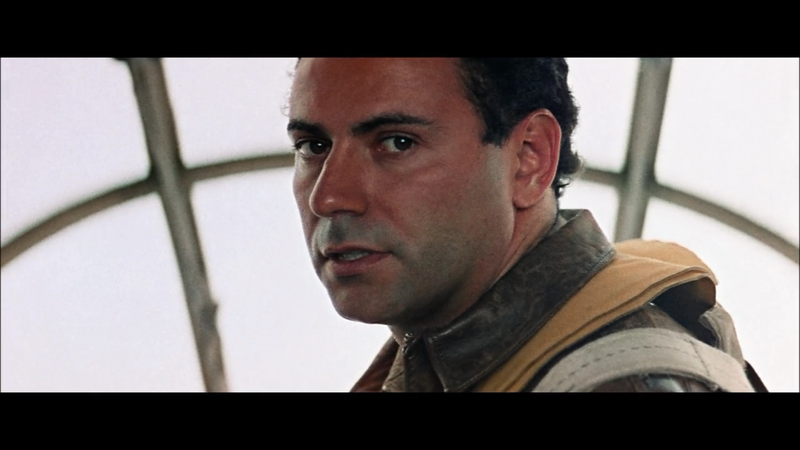 At the core of this film, Alan Arkin as Captain John Yossarian is perfection as the sympathetic fool trying to hang on to sanity in the very epicenter of madness… war. Alan Arkin is the featured star of the day highlighting a full day of his film work for this day, Friday August 21st, for Turner Classic Movie network’s Summer Under The Stars’ month-long tribute to the major stars of classic film. 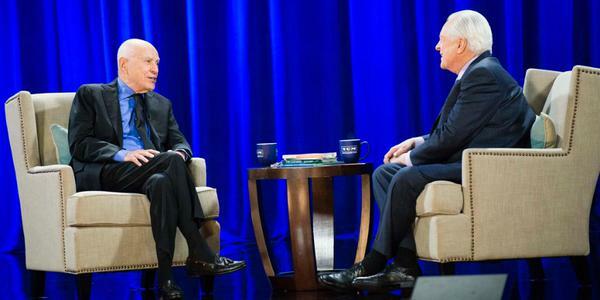 Arkin was a crowd-pleasing favorite at the 2014 TCM Film Festival where he was interviewed by the godfather of TCM, Robert Osborne, to an enthralled audience. You can catch this interview twice today, at 8am EDT and again at 7pm EDT. CATCH-22 is based on Joseph Heller’s novel and adapted into a screenplay by the supremely talented dry wit of Buck Henry. Not an easy novel, nor an easy topic to tackle, so many didn’t believe Nichols and Henry could pull off making this into a film, let alone one audiences would go see. Yet with visually stunning cinematography by David Watkin and a stellar cast of supporting roles, Nichols succeeds in managing the mayhem of this controversial issue and turned it into an award-winning, important film. This film is an editing nightmare or masterpiece, depending upon how you choose to look at it, as the timeline is a constant ebb and flow of flashbacks and flash forwards. 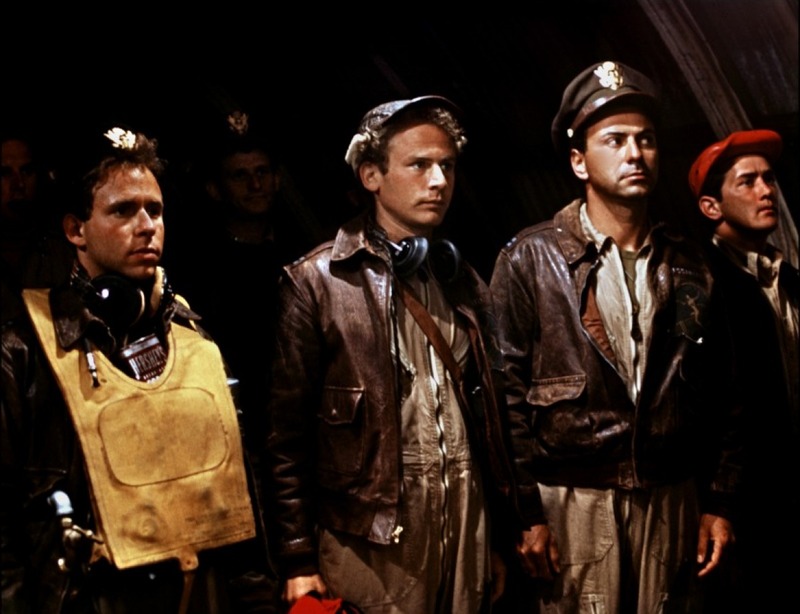 The film begins close where it ends for Captain Yossarian. He’s a bombardier in World War II’s European campaign off the coast of Italy on a remote air field. Planes are landing in the background at a frenetic pace and the aviation noise and wind are nearly deafening. So overpowering that when we see a faceless attacker brutally stab Yossarian with a knife then sneak away as he falls to the ground, other officers look on casually completely unaware. A shocking yet telling beginning. From here, Yossarian spends the rest of his time trapped in an ‘Alice In Wonderland’ like hell of distorted reality and madness. Everyone thinks he’s crazy because he wants to be grounded because he knows the enemy wants to kill him- so why should he continue to fly missions? They call him crazy yet they refuse to ground him because he’s just sane enough (possibly the ONLY one) to fully see the absurdity of it all. Following me so far? Thus is the paradox of war. A catch-22. Irony floods every scene in this ebony parody. 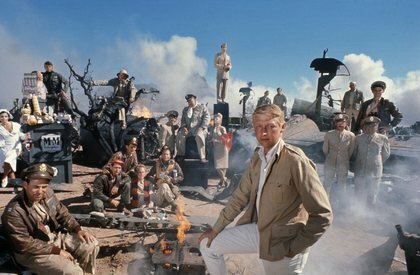 Filmed in 1970, the timing was ripe to take on a satirical and political view of the evils of war and the military industrial complex. Catch-22 spares no one. Every character is stripped down bare in reflecting their flaws. Not literally of course, except for Yossarian. Ironically. Although Yossarian himself attempts this naked tactic later on, he’s still considered too rational to ground. If you enjoy truly pitch-dark humor, mixed with thumbing noses at the bureaucracy of war, this is one of the funniest parodies tackling the rarely criticized subject of WWII that you’ll likely see. Arkin is sublime as the bomber pilot with every character interaction in this story that reinforces his fears. 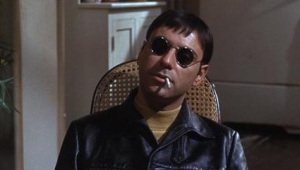 Alan Arkin throughout his career has possessed that rare instinct which excels in displaying understated sarcasm. He masters at humor and drama equally and this role required an actor that rides that juncture of both seamlessly. He plays the straight deftly as the sheer nonsensical madness reaches dizzying heights of absurdity and occupies every inch of space around him. In other words, he was the perfect actor for this role. 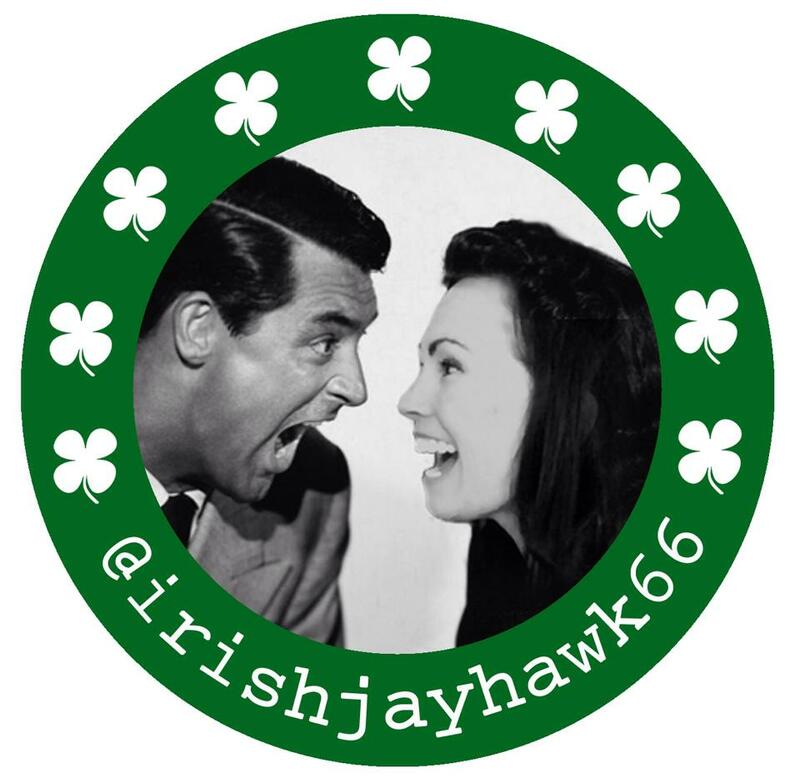 This tribute to Alan Arkin via his performance in CATCH-22 is my contribution to the SUMMER UNDER THE STARS BLOGATHON, hosted by Kristen of “Journeys In Classic Film” Follow her site to see all the contributing bloggers to each day’s stars during August! The book is hilarious. Should try and see the film. I hope you get a chance to check out the film. I think Mike Nichols & Buck Henry do a marvelous and creative job of transforming it into the silver screen. Thanks for reading! FIRST TIME your post appears in my reader! Yaaahooooo! HOORAY!!! I guess it took an image from TCM to kick it into gear, eh? Love this film! Great review, Kellee. Thanks, Michael! It’s truly a remarkable film isn’t it? Thanks for reading, friend!